My Review of Liar by Rob Roberge out at The Rumpus!!! Over the next three months, three reviews of mine--all of newly-released books--hit the streets, and you cannot go wrong with any of these three titles. Case in point? Rob Roberge's latest memoir Liar, which I reviewed at The Rumpus this past week. 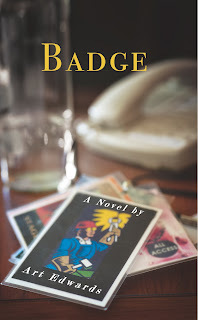 Watch the Book Trailer for Badge.